Flow cytometry is a highly accurate technology used for cell measurements. High quality particles, supplied from Polysciences, are used to calibrate these instruments. This product is a component of the Flow Check™ YG 2.0 Kit (Cat. 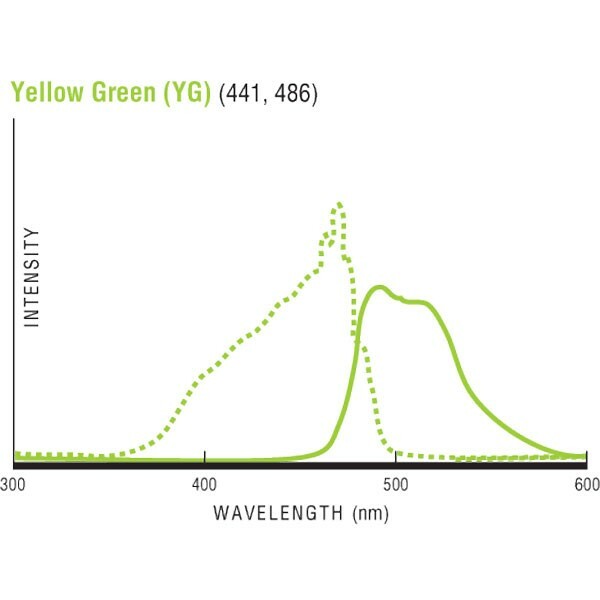 #23513), which allows the comparison of various levels of green fluorescence. The full kit contains 4 components, each of which is packaged with ~1 x 107 particles per ml: a full intensity bead, two intermediate intensity beads and a blank bead. The CV's of these particles offer excellent size and fluorescence CV control. Store material at 4ºC and protect from light. No biocides are added during the manufacturing process. DI water is recommended for all particle handling and dilution operations.